Rudy continues to struggle with a junky trach due to a bad cold and he has slept long stretches each day since returning home from L.A. So, as he continues to recuperate, Rolf and I continue to follow up with Dr. Corazza and docs at UCLA by phone. I spent some time on Friday researching the neurology terminology in Rudy’s latest diagnosis which helps us in compiling a list of follow-up questions. Dr. Corazza wants to see Rudy again in 6 weeks and in the meantime, Iwould like to pay another visit to the opthalmologist Rudy saw last year. Damage to the occipital lobe of the brain can cause loss of peripheral vision or depth perception which could explain some of the ways Rudy compensates in his therapy. I’d like to follow up with him with this new information and dig a little deeper to determine whether or not there is any vision impairment. There is certainly a list of things we want to follow-up on but thankfully none of it is critical at this point. We can take our time and continue to work through the details thoughtfully. Although Rudy is more tired than usual and obviously uncomfortable due to his cold, he is smiling and happy at home. Thank you for your continued prayers…you are a blessing to our family! Previous Post We LOVE Nurses!!! Next Post Never too busy to dance! 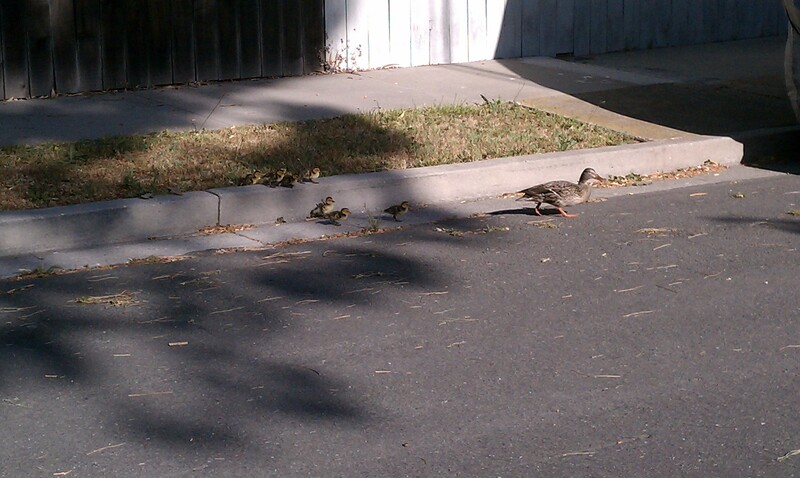 Darling Ducklings! and they knew their lines so well too!!! Hey Trish, you will recall that Dad’s tumor, which was discovered because of his vision problems was in the left occipital lobe. Not that that provides any meaningful information for you as you investigate Rudy’s condition, but I thought it was an interesting piece of family medical trivia. Livi helping the ducklings was so cute! The video was adorable too! Hope your list starts shrinking! Oh so cute! 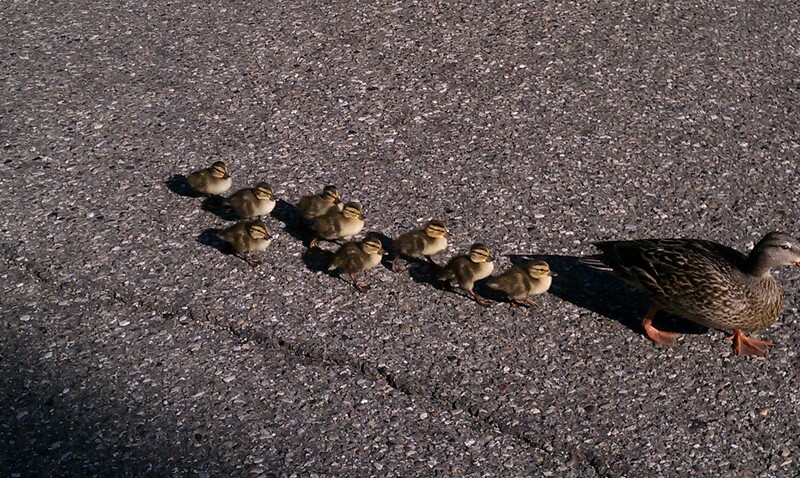 Yay Livi for saving the duck family! 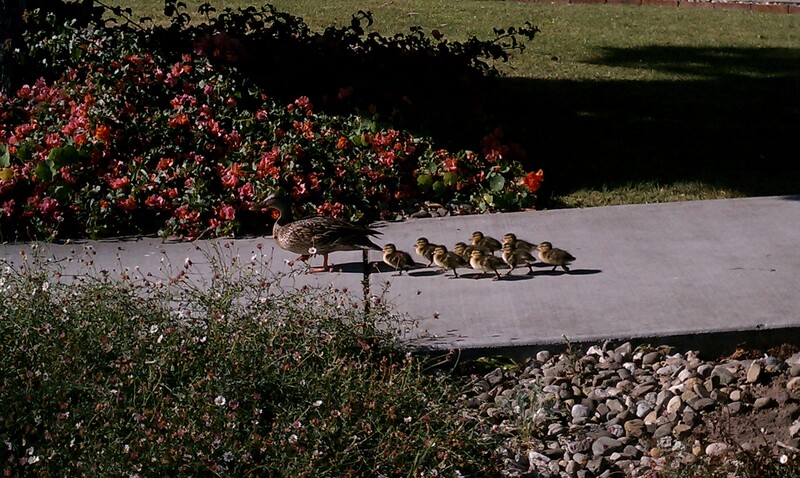 And nice to see the “Duckling” family again! I’m so dense, I never got the Duck+ling joke the first time. I’m so glad you posted it, I can share it with others who missed it! Do I see Oscars glowing on the mantle some day? The kiddos were great!